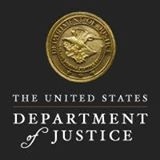 Washington, D.C. – (RealEstateRama) — Deirdre M. Daly, United States Attorney for the District of Connecticut, announced that TIMOTHY W. BURKE, also known as “Bill Burke,” “William Burke,” “Kerry Saunders,” “Pat Riley,” “Jim Caldwell,” “Jim Saunders,” “Tom Morrisey,” “Jimmy,” “Phil Burke,” “Phil,” “Burt,” “James Burke,” and “M. Soler,” 65, formerly of Easton, pleaded guilty today before U.S. District Judge Michael P. Shea in Hartford to fraud and tax evasion offenses stemming from a long-running fraud scheme that targeted distressed homeowners. Today, BURKE pleaded guilty to one count of mail fraud, which carries a maximum term of imprisonment of 20 years, and one count of tax evasion, which carries a maximum term of imprisonment of five years. Judge Shea scheduled sentencing for April 18, 2017. This matter is being investigated by Internal Revenue Service – Criminal Investigation Division, the U.S. Department of Housing and Urban Development – Office of Inspector General, and U.S. Postal Inspection Service, with the critical assistance of the Middletown, Plainville, Easton and Coventry Police Departments, the Connecticut State Police and the Bureau of Alcohol, Tobacco, Firearms and Explosives. Previous articleICYMI: Trump’s Heartless Fee Hike? Not Quite.